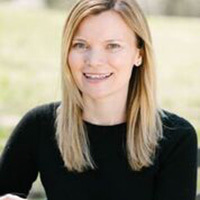 Becky Straw is Co-Founder and CEO of The Adventure Project, a nonprofit movement “adding venture” capital to empower entrepreneurs in developing countries. Inspired by a passion to revolutionize giving and create a movement that would marry good intentions with measurable impact, Becky co-founded the organization in 2010 when she was 29 years old. Becky and The Adventure Project work to strategically invest in entrepreneurs that address the four biggest needs in developing countries – water, hunger, health, and the environment. In five years, they have engaged over 10,000 people to help create almost 1,000 jobs in India, Kenya, Uganda, and Haiti that serve over one million people in their communities. The Adventure Project’s goal is to tackle extreme poverty by creating one million jobs in the next 10 years. Prior to The Adventure Project, Becky spent three years helping to launch the nonprofit, charity: water after graduating from Columbia University with a Master’s in International Social Welfare. Becky is also the recipient of the 2015 Diane von Furstenberg People’s Voice Award for female founders making a difference. She currently lives in Brooklyn, New York with her husband.